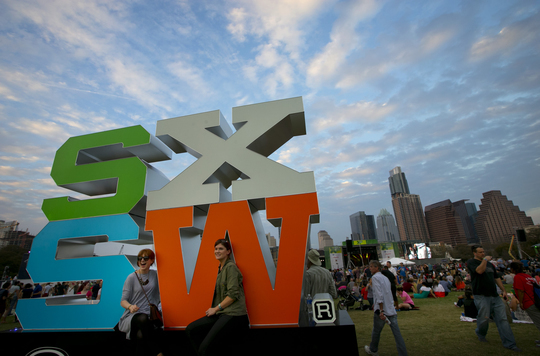 SXSW is a 10-day extravaganza filled with innovation, creativity and inspiration. The event offers hundreds of talks by industry leaders on a wide array of topics. However, planning your itinerary can be a challenging, even overwhelming, task. But it doesn't have to be. To help, I've put together a list of the top ten marketing talks you should consider attending at SXSW 2017. And it's all about chatbots for 2017. Automated assistance, or artificial intelligence (AI), is expected to revolutionize the way people communicate with brands online. With the launch of the Messenger chatbot this year, marketers are putting more thought into how they can communicate with their audience. This talk is about how social media artificial assistance is changing the way companies interact with their consumers and how this is expected to change the way they lead them through their sales funnel. Dharmesh Shah is a well-known figure in the world of digital marketing. He is the co-founder and CTO of Hubspot and was the driving force behind the creation of their chatbot, Growthbot. Shah's presentation will cover how chatbots can help B2B companies drive growth and productivity while allowing their employees to grow as professionals at the same time. Chatbots are one of the hottest topics for all marketers in 2017, so learning how to put together a good bot is an invaluable skill. Omar Siddiqui from Kiwi Inc. and Lauren Newton from Kik will be giving a presentation on how to build bots, and working with different developers to build a dynamic bot that will help your clients solve their problems. Rob Harles, Managing Director of Accenture Digital, will be sharing his thoughts on the rise of chatbots, and how traditional transactional brands are using A.I. to change the way they interact with their clients. He will teach his audience how major companies across different industries are making their customers feel important with the use of chatbots. Bots are already changing the way companies interact with their customers while gathering information that helps marketers create more effective campaigns. Executives from Pandorabots, Assist, Yahoo, and Amazon discuss how these changes have encouraged companies, who are traditionally viewed as competitors, to work together to provide the best customer experience; and how this affects the future of search. Having an influencer endorse your brand is a great marketing tool, but knowing which influencer will deliver the best results is not always easy. Brian Salzman of RQ, Brian Irving of Hampton Creek, Zach Iser of ICM, and Katie Cheng of Samsung US will discuss the steps you need to take to find the perfect influencer figure, as well as ways to engage with these individuals for better brand building. Mariya Yao from Xanadu Mobile and Adelyn Zhou from TOPBOTS will help marketers and brand executives learn how to adapt technical research to business applications, understand the latest breakthroughs in A.I., and deploy new technology like chatbots to both their clients and internal workforce. Chatbots as a whole are still at a very early stage, so building a functional, well-known bot is not simple. However, there are some exceptions, such as Activision "Call of Duty" Experience on Facebook Messenger. In this talk, representatives from AKQA, PullString Inc., and Activision will discuss the creation of the "Call of Duty" Experience, the impact it had on the bot industry, and the future of conversational chatbots. All the hype of chatbots has also raised a few eyebrows. In this panel, Fred Schonenberg from VentureFuel, Chris McCann from 1-800-Flowers.com, Sam Olstein from GE Corporate, and Stephanie Hay from Capital One will answer questions about the way conversational marketing has changed the relationship between brands and consumers. Although most talks about social media cover strategies and insightful marketing information; Charli Howard, Paul Bedwell, and Dr. Vivian Diller discuss a deeper matter in this panel. Social media has redefined the standards of beauty to lean towards perfection, and this talk will cover how content creators have a responsibility to empower social media audiences to embrace a natural, healthy concept of beauty. Although SXSW consists of hundreds of talks and conferences, the list outlined above will work as a guide so you can get the most out of each event and world-class guest speaker. The information you gather will help you build more efficient chatbots, and launch prolific influencer marketing campaigns that will turn your social media into a revenue-generating machine.